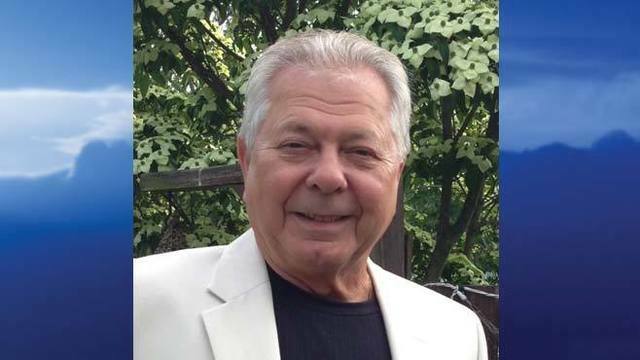 YOUNGSTOWN, Ohio (MyValleyTributes) - Funeral services will be held on Monday, October 29, 2018 at 10:30 a.m. at St. Mary's Byzantine Catholic Church on Bella Vista, Youngstown, for William A Kovachik, 75, who passed away Wednesday, October 24, surrounded by family and friends, after a short illness. William (Bill) was born July 12, 1943 in Youngstown, son of Paul Kovachik and Anna Fedak Kovachik. He was a 1962 graduate of Chaney High School and served in the U.S. Army, First Infantry Division, during the Vietnam War, receiving a Bronze Star. He worked as an artisan for the Mahoning County Sheriff's Department, retiring in 2013. He was a member of St. Mary's Byzantine Catholic Church on Bella Vista and St. John's Episcopal Church on Wick Avenue. He was also a member of Catholic War Veterans Post #1292. Bill loved the YSU football games and tailgating, golfing and working in his yard. Surviving are his wife, Mary Jo Kovachik, whom he married March 14, 1981; three sons, William (Christine) Kovachik and Brian (Jessica) Kovachik, both of West Palm Beach, Florida and Michael (Angela) Kovachik of Irwin, Pennsylvania; one daughter, Allie (Chris) Anzevino of Austintown; one sister Elizabeth (Richard) Frank of Matlacha, Florida; six grandchildren and many nieces and nephews. He was preceded in death by his parents; two brothers, Robert and Paul Kovachik and one sister, Helen Evans. Friends will be received at the Vaschak-Kirila Funeral Home, Youngstown on Sunday, October 28, from 1:00 - 4:00 p.m. and again on Monday, October 29, from 10:00 - 10:30 a.m. at the church prior to services. A television tribute will air Monday, October 29 at the following approximate times: 6:41 a.m. WYTV and 8:41 a.m. MyYTV and 9:58 a.m. on FOX plus two additional spots throughout the day.